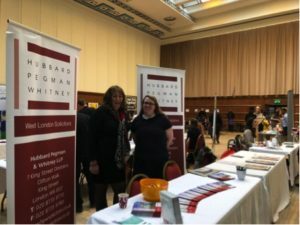 On 22 March 2018, Hubbard Pegman & Whitney LLP exhibited at the fifth Hammersmith and Fulham Means Business expo at Hammersmith Town Hall alongside other local business. The day consisted of seminars, one to one meetings and an exhibition, which we participated in. It brought together hundreds of local businesses from across the borough in one space. For us, it was a great opportunity to meet other companies and residents. We had an enjoyable time speaking about the firm, hearing about other things going on in the borough and networking with likeminded individuals. 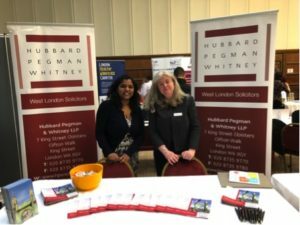 If you met us on 22 March 2018 and would like to get in touch about how we can assist you with your legal matters, please do not hesitate to contact us on 0208 735 9770 or send us an email to info@hpwsolicitors.co.uk.